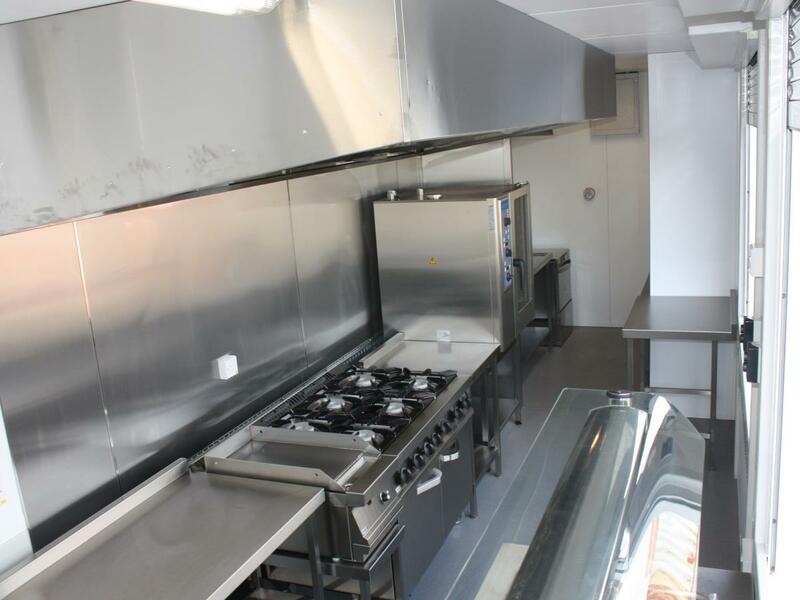 On-Site Kitchen Rentals Ltd were delighted when the British team and their sponsor in a major international sailing event commissioned them to design and build catering facilities to support them in their Caribbean HQ. 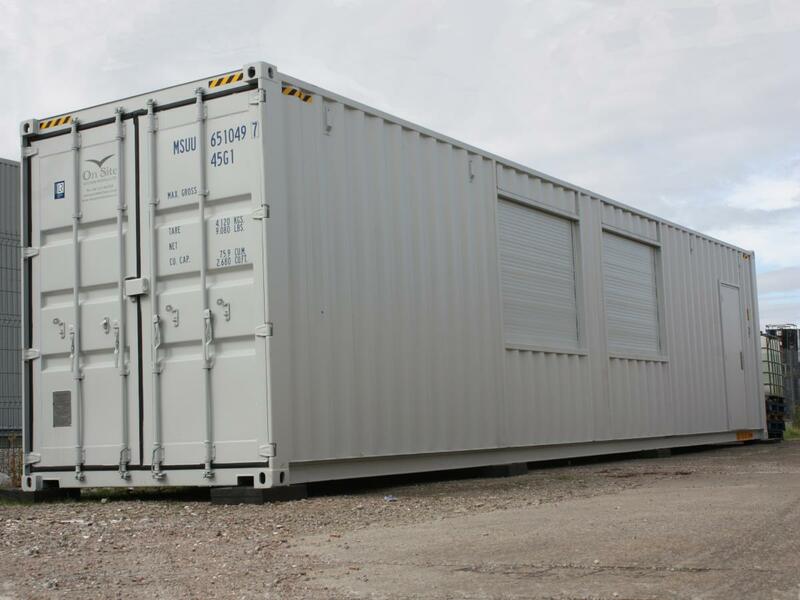 Our solution was to create the Container, a bespoke kitchen within a shipping container, which would be highly transportable, self-contained and would have the capability to be up and running within an hour of placement. 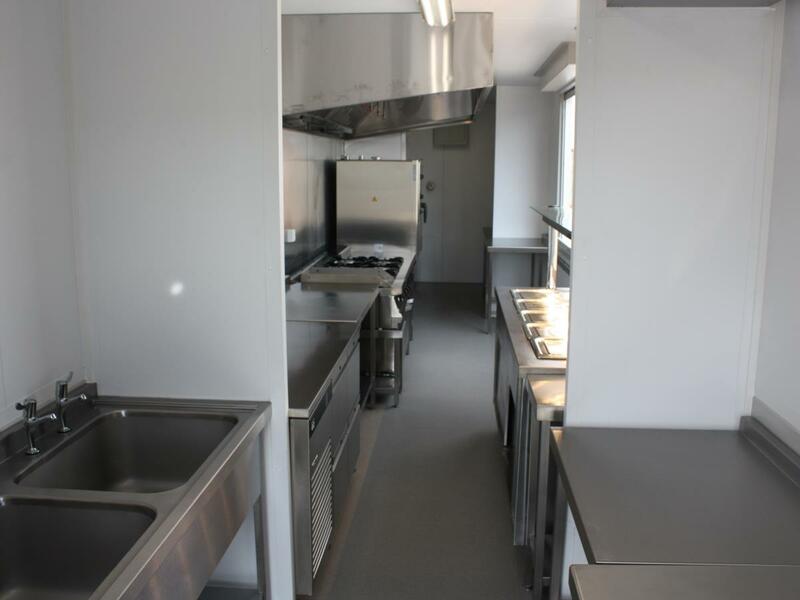 As with all our Temporary Kitchen installations, we equipped the kitchen to suit the client's exact catering requirements, optimised to create an efficient working space for their chefs. Through intelligent design, the layout included temperature controlled preparation, production and servery, along with washing, refrigeration and storage. 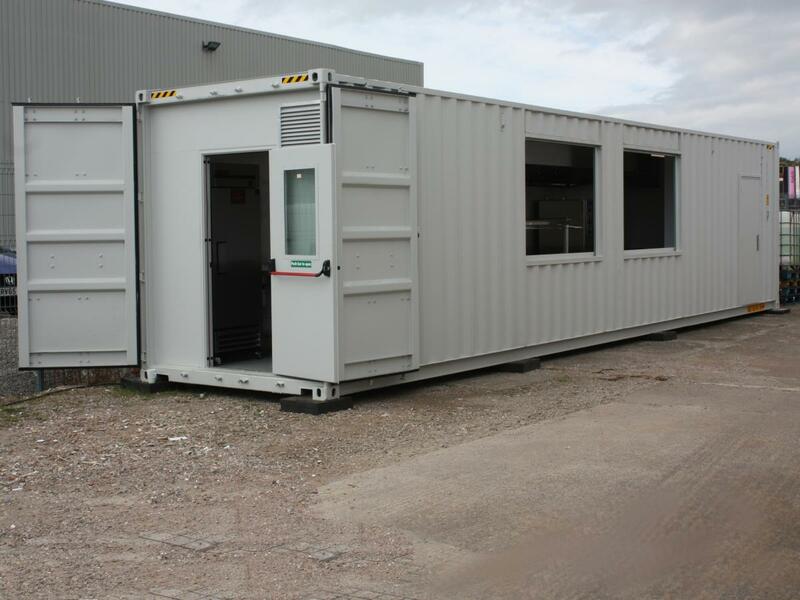 It was with great delight this project was awarded to our company and I am sure we succeeded due to our ability to listen to the detailed brief to create a unique kitchen facility in a potentially testing environment. The use of our temperature control system for preparation and refrigeration areas and choosing British manufactured appliances makes the whole project a fantastic export success story. In accordance with the team's sustainability goals, we designed a kitchen system which included a number of carbon footprint reduction features, including lighting, refrigeration and water pre-heat. The sponsor was awarded £6.5 million of government funding to support the team, with the announcement taking place at 10 Downing Street in the presence of the then Prime Minister, David Cameron. Truly fantastic news for Portsmouth and the Solent. It will not only build on Portsmouth's global reputation as a centre of marine and maritime excellence, but will also deliver a real sporting and economic boost to the UK. It is a great example of our long-term plan - creating jobs as well as opportunities for young people to develop their skills through apprenticeships. Our kitchen sailed to the Royal Naval Dockyard hosting the event's village, where competitors and spectators enjoyed state of the art facilities, events, concerts and of course experienced the competition itself - all whilst surrounded by the beautiful islands and beaches of the Caribbean.